LAUREL, Del. 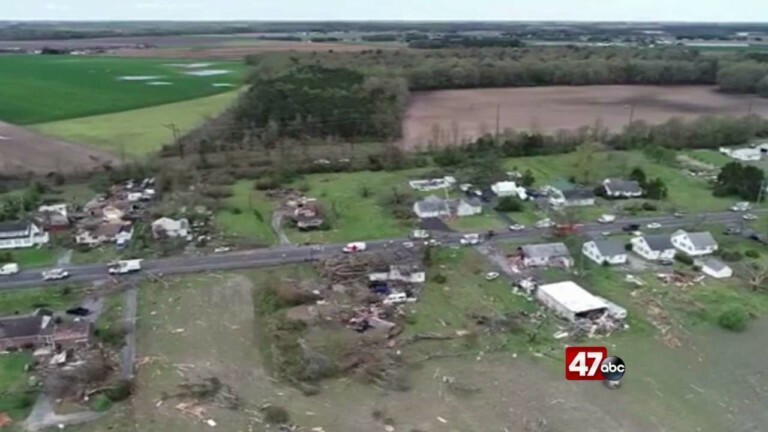 – First responders in Sussex County had their hands full early this morning after the tornado touched down in parts of Delaware. Members of the Laurel Fire Department tell 47ABC that they started receiving calls for help around 3:30am. They say the rough winds and rain, mixed together, made things difficult for them when they responded to calls. Laurel FD credits other organizations and firefighters for their help as it was crucial in assisting those in need.